The entrance to the Will Rodgers Shrine of the Sun. If you’ve spent any time in the Broadmoor neighborhood of Colorado Springs, you’ve probably heard a chorus of musical chimes float down Cheyenne Mountain to the valley below. 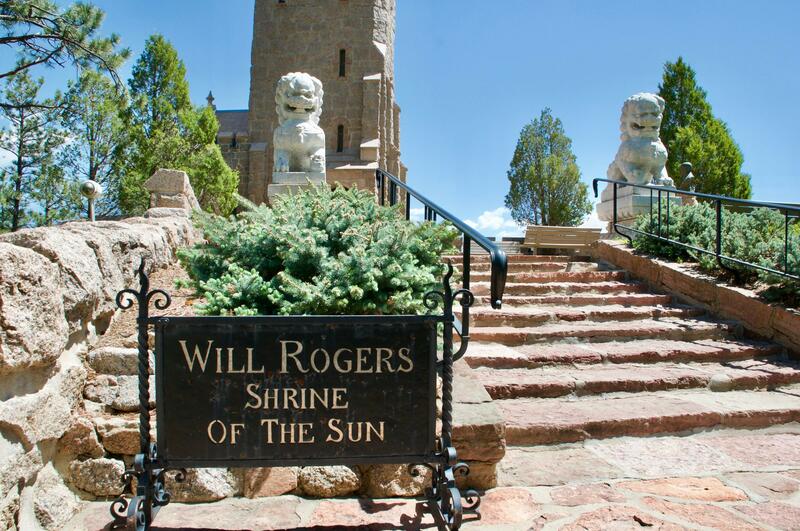 Three times a day, a suite of classical standards and old pop songs ring out over the Broadmoor from a source high above on Cheyenne Mountain - The Will Rogers Shrine of the Sun. It’s a strange thing. 10 am, noon, and 5 pm, everyday, 10 minutes of music wafting over the city. We wanted to learn a bit more about the story behind the music, so we took a little trip up Cheyenne mountain for the latest episode of Air Check. Kevin Wynn, curator of the Wills Rogers Shrine of the Sun. 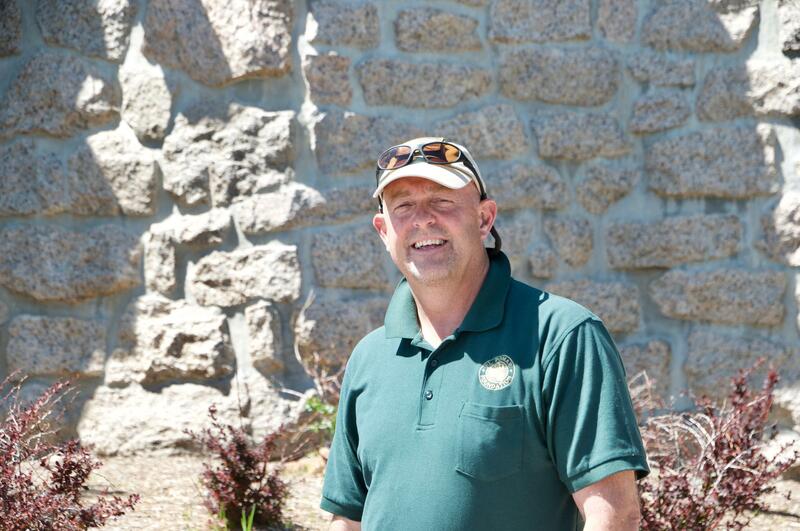 Kevin Wynn is the curator of the Will Rogers Shrine, which is owned and operated by the El Pomar Foundation. 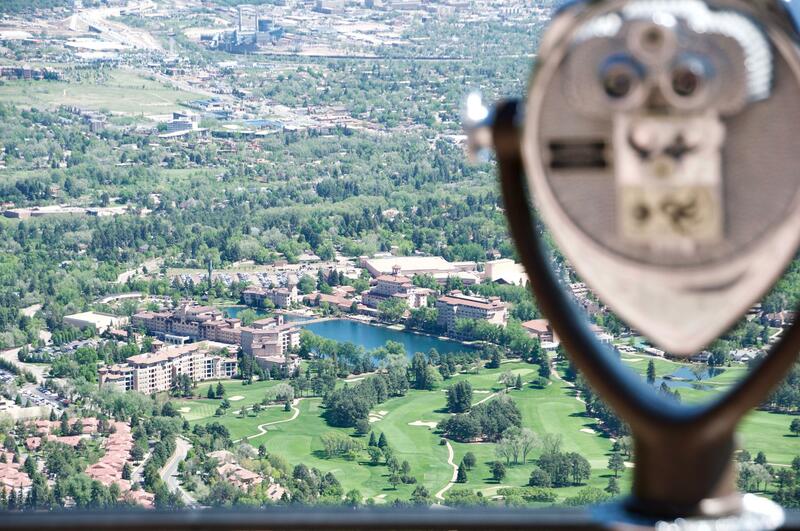 "We’re standing approximately 8,000 feet above Colorado Springs. We’re at the Will Rogers Shrine of the Sun, commissioned in 1934, dedicated in 1937 to Will Rogers," Wynn explains. 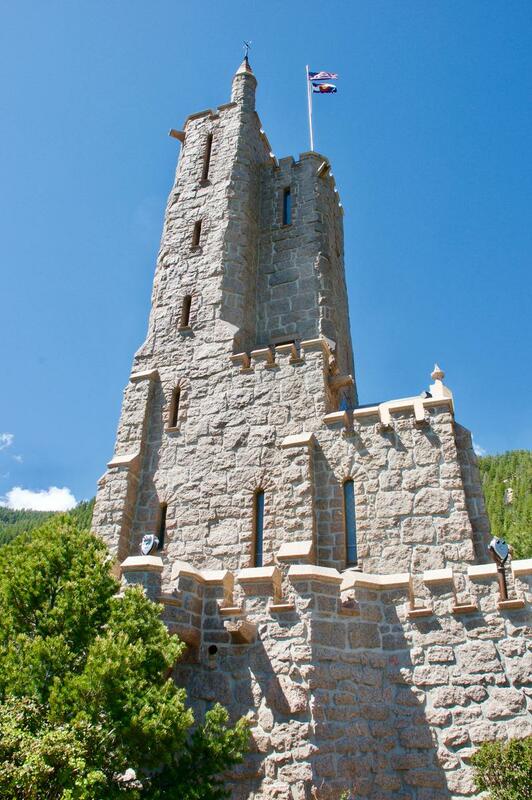 The Shrine was built by Spencer Penrose, the mining tycoon behind the Broadmoor, Cheyenne Mountain Zoo, the Pikes Peak Highway, and many other Colorado Springs landmarks. Its namesake, Will Rogers, was a popular American actor, vaudevillian, and writer who died tragically in a plane crash in 1935. 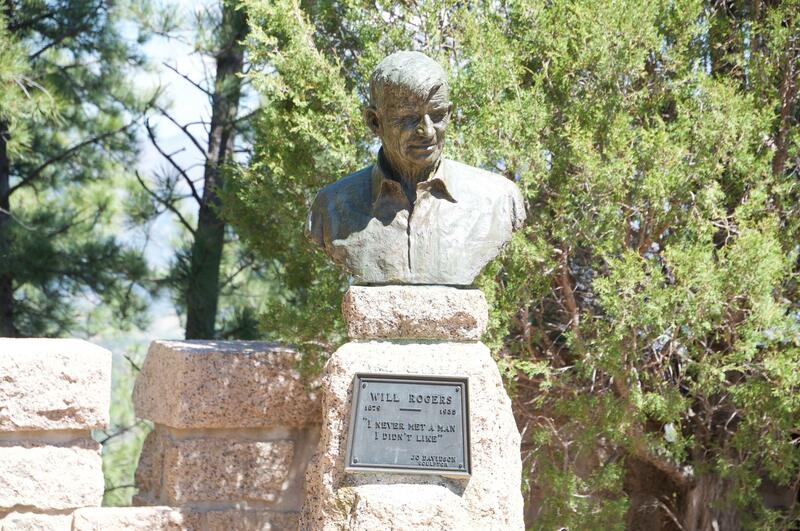 A bust of Will Rodgers outside the shrine. Wynn describes the tower: "It stands 114 feet, has five flights of stairs, has three rooms dedicated to Will Rogers, and on the first floor as you go in, it has a Randall Davie mural dedicated to the people who built Colorado Springs." Originally commissioned as a mausoleum, Julie and Spencer Penrose are buried there, as are two of Penrose’s business associates, Horace Devereaux and Larry Leonard, who Wynn describes as lifelong "confirmed bachelors" and friends of Penrose. Spencer Penrose was a colorful, larger-than-life figure in the early history of Colorado Springs. He presided over a vast fortune, and spent it on extravagant projects, from the lavish Broadmoor Hotel to his collection of exotic animals which eventually became the basis for the Cheyenne Mountain Zoo. The Shrine was a similar undertaking – a massive stone monument, visible across the city, illuminated at night, all to house his own remains. Since its completion in 1937, the Shrine has not only been visible for miles, but audible. "This is known as a singing tower," Wynn says, "because of the music played." In addition to the songs played through out the day, the tower also chimes the time every 15 minutes. The whole operation is digitized now, but remnants of the old sound system remain in a small chamber in the bowels of the shrine. 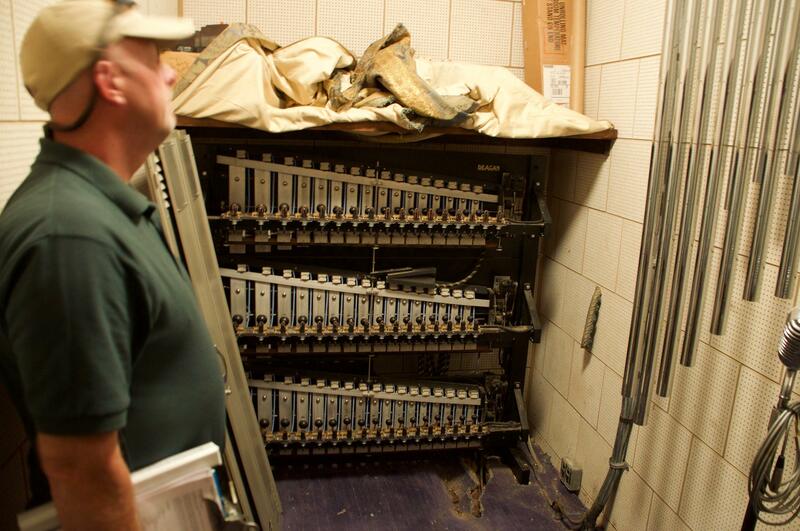 Kevin Wynn points out the antique musical equipment in the bowels of the Shrine. In the old days, the chimes were operated by rolls of paper music, much like an old player piano. "If you didn’t have a roll you wanted, you could play here on the organ," says Wynn, pointing to the dusty organ in the shrine's basement. Nowadays, the technology is a bit more sophisticated. Wynn leads us to the eastern wall of the shrine, where a wall of speakers face the city below. The sound system would be right at home at a Rolling Stones concert. Wynn says the volume is set low, but even still the sound travels nearly four miles. The view of the Broadmoor from the Shrine. "We’ve got ten minutes before the chimes go off. You don’t really want to be here when it goes off," he warns. The Will Rogers Shrine receives thousands of visitors every year, and it’s accessible to anyone with a day pass to the Cheyenne Mountain Zoo. But if you don’t feel like making the trip, you can always enjoy it like Spencer Penrose did – from miles below below, soaking in the chimes as they float into town on a summer breeze. On this episode of Air Check, three more favorite songs from Jeff, Jake and Vicky, a talk with the Denver-based band the Flobots about their musical mission, we have a listen to the swan songs of I Sank Molly Brown during their last live performance as a band at Right Heel Studios, Jake and Jeff investigate the musical history of the Will Rogers Shrine on the side of Cheyenne Mountain, and three must-see concert events of the summer/fall music season. 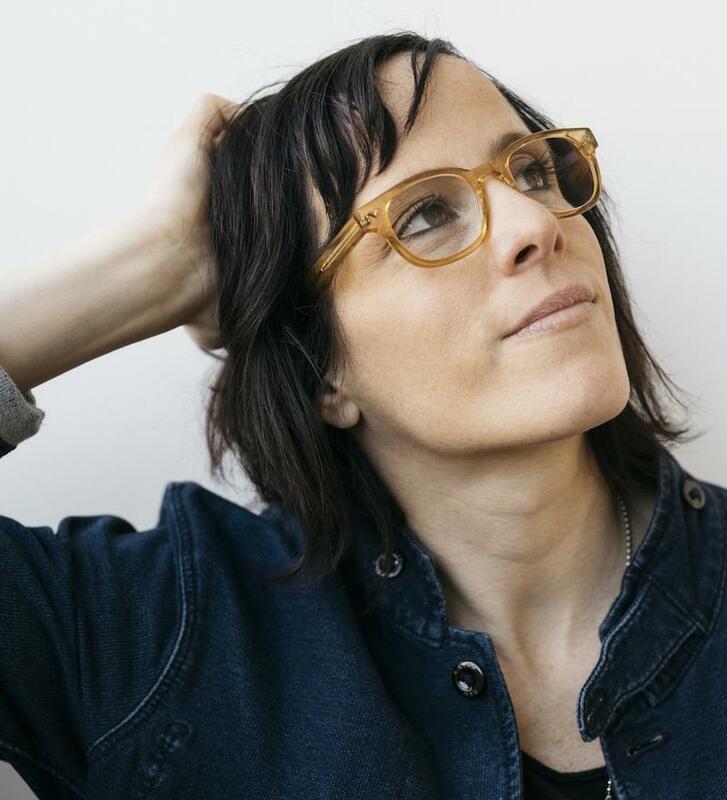 Sera Cahoone grew up in Colorado, but has called Seattle home for the better part of two decades. She made a name for herself as a drummer in the band, Band of Horses, and then turned to her own solo career, releasing several albums, including two on Seattle-based Sub Pop records. Handbells have been around for centuries. Originally invented for church bell tower players to practice their songs, they took on a life of their own in handbell ensembles, where groups of musicians play carefully choreographed arrangements on the tuned bells. 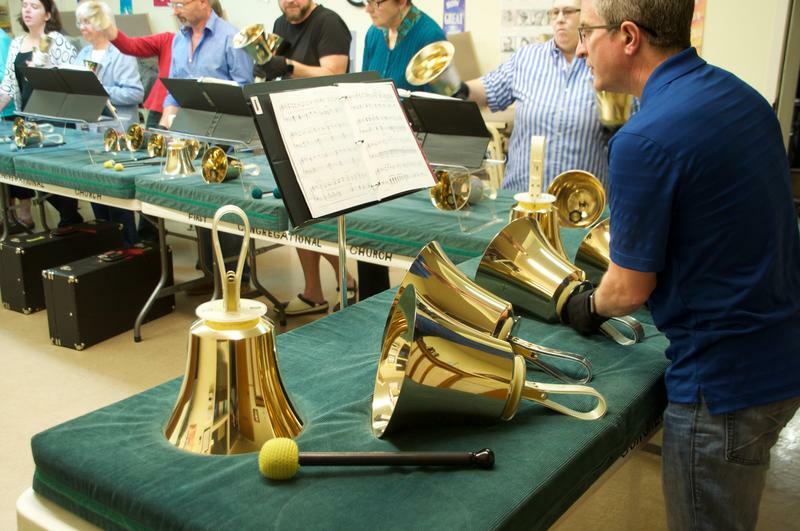 For this story from the latest episode of Air Check, 91.5 KRCC’s Vicky Gregor and Jake Brownell visited a local handbell group to learn more about the music.